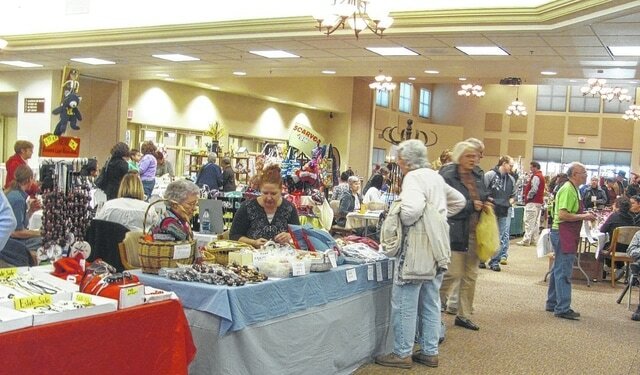 Among the events held in SourcePoint is a craft show. The head of SourcePoint gave Delaware City Council an update on what’s happening at the former Council for Older Adults, most notably the recent change in the organization’s name. “It’s a big change, especially for the folks who are closest to us,” Horrocks said. “We did a lot of research over the last couple of years, and it turns out everybody doesn’t really know about the Council for Older Adults. They assume we’re some sort of government organization. For some, the term brought up some stereotypical issues and it pushed some people away. So we thought we would go with something more neutral. The 44,000 square-foot SourcePoint center at 800 Cheshire Road is currently undergoing a renovation to allow for more activity space, he said. The renovations should wrap up in the coming weeks. “As wonderful as that facility is, I always have to remind folks that the vast majority of what we do happens outside that building,” Horrocks said. For example, the Meals on Wheels program serves close to 200,000 meals annually, which helps people to stay in their homes, and provides a chance to socialize with volunteers serving the meals. Horrocks said issues that will continue to impact senior citizens in the future include housing and transportation. “As our older population grows, we have to keep up the infrastructure of services that help people age well and successfully,” he said. Although SourcePoint is primarily funded through a local senior services property tax levy, the organization has also tried fundraising events, such as a recent pig roast. It also receives sponsorships, grants and support from volunteers. For more information about the organization, visit http://www.mysourcepoint.org/.